General Railroad Scenes in and around East Liverpool. 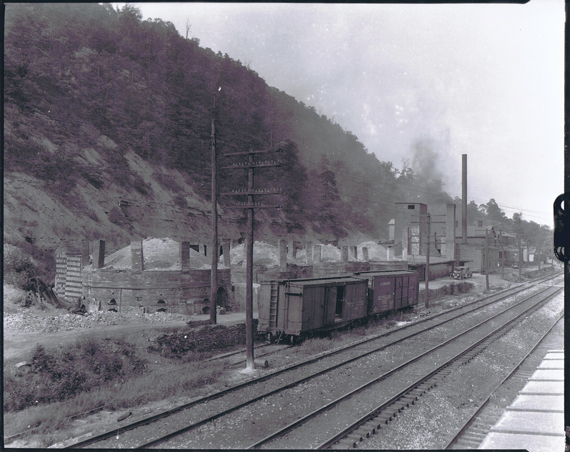 Walker's Sewer Pipe and Brick Manufacturing plant along the river about halfway between East Liverpool and Wellsville, Ohio, about 1890. 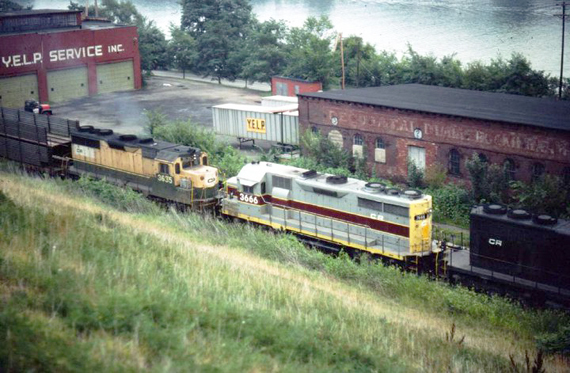 Picture courtesy of Wellsville Historical Society. 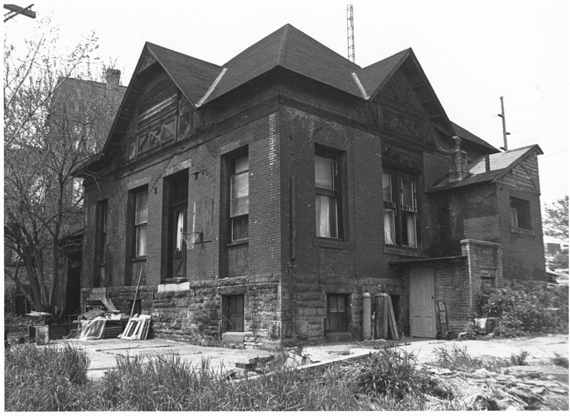 May 14, 1912. 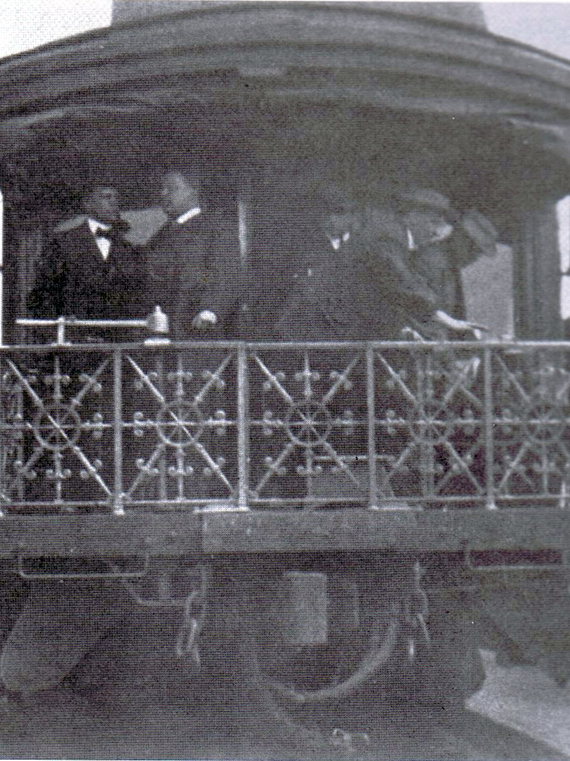 Two presidents of the United States of the same political party visited the city - on the same day! To be exact President William H. Taft was here in the morning and former President Theodore Roosevelt was here in the early afternoon. Both arrived by Train. In the above picture Theodore Roosevelt is arriving. 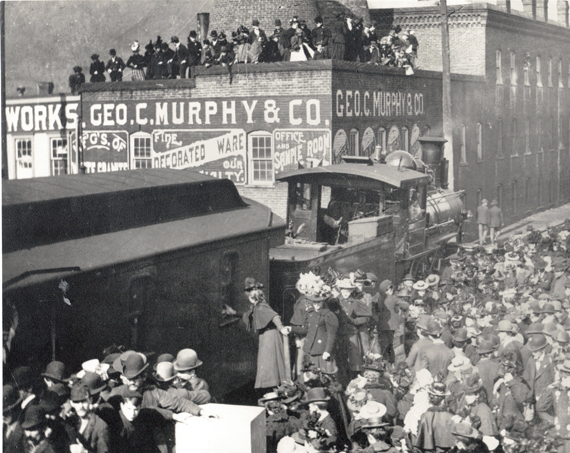 This ancient locomotive is passing the foot of Washington St. about the turn of the century (1900's). 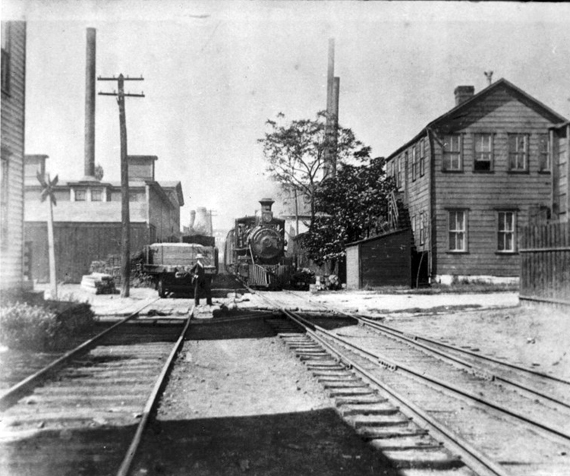 The chug-chug of the old steam engine was a familiar sound to residents of the area. 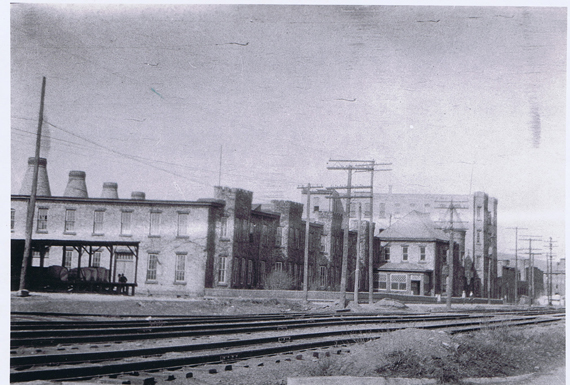 Nearby 2nd St. was a bustling trade center at the time. 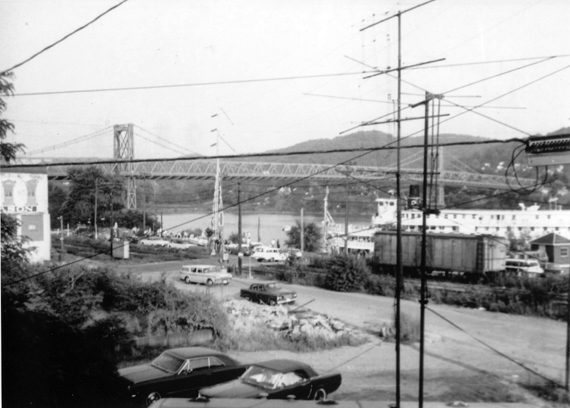 (Feature Pages, East Liverpool Review, Saturday, June 21, 1969 - Page 8. Dando Fire Brick Co. Industry 1915-1978. 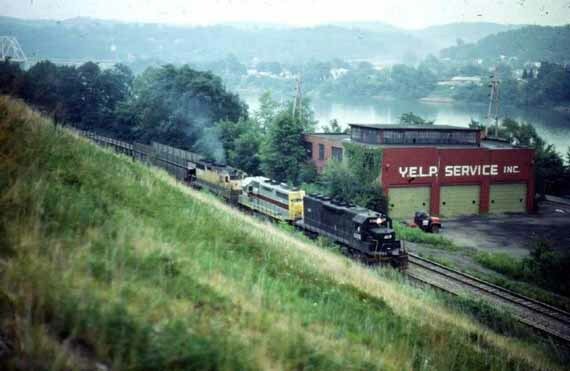 Picture from Eardley Studio via East Liverpool Historical Society. 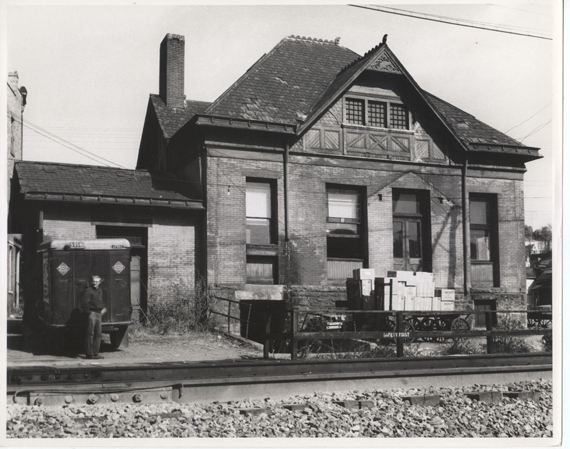 Old Passenger Station, December 20, 1958. Same as above but believed to be a later picture. Broadway Crossing. Eventually that tower would be removed. Broadway Crossing. Picture courtesy of Inger Lloyd. Riding the rails. 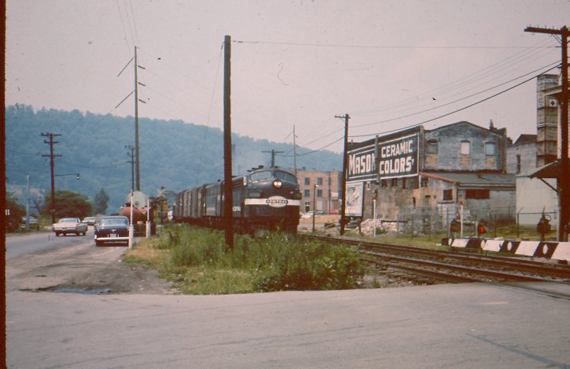 Approaching the Walnut Street Crossing. 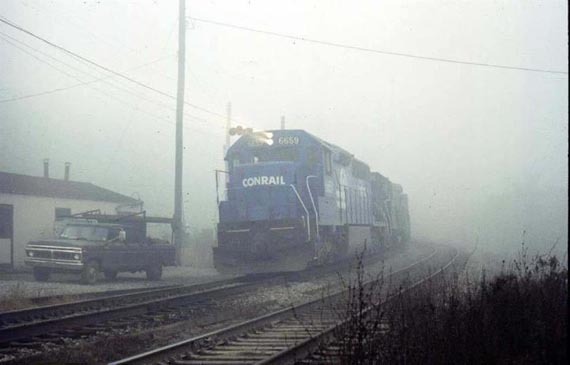 Photograph taken by Bob Lloyd from the engine. Picture courtesy of Inger Lloyd. 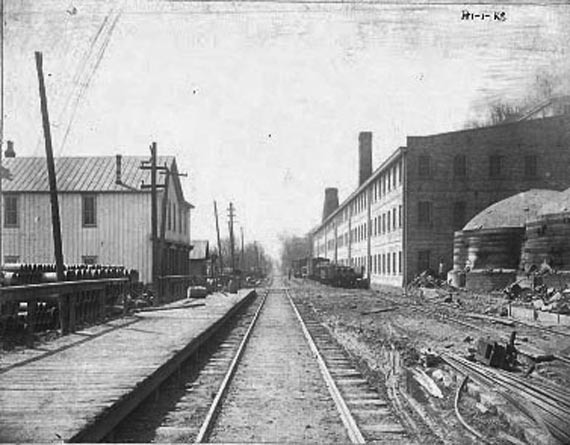 Homer Laughlin Pottery and Railroad Station, East End. Y.E.L.P. Company on River Road. Picture courtesy of Charlie Bowyer. Picture courtesy of Charlie Bowyer. Just passed Broadway heading East. Different style engine than the others. 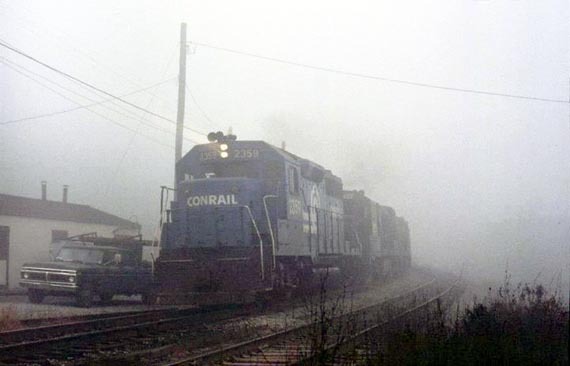 A westbound Conrail train approaching Walnut Street in the early morning fog in November, 1978. Picture and comment courtesy of Charlie Bowyer. 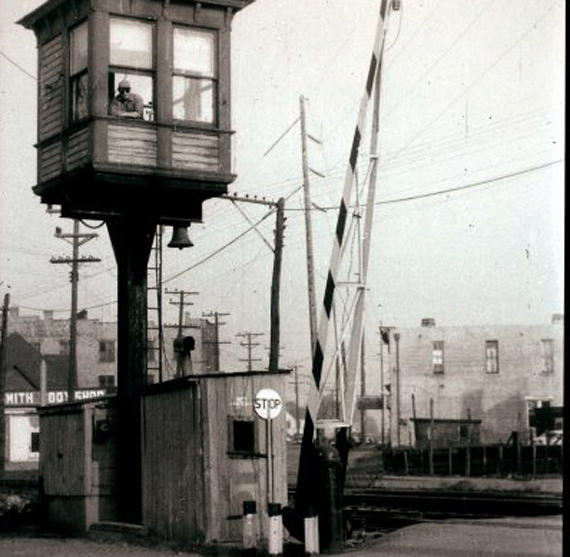 This picture shows the Walnut Street Signal Maintainer building. . . November, 1978. Picture and comment courtesy of Charlie Bowyer. 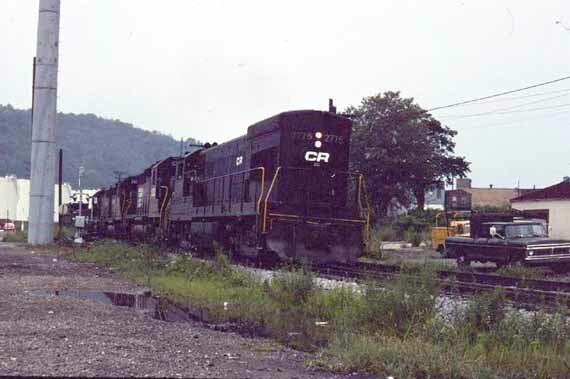 Here is a picture of an Eastbound at the same crossing, August, 1977. The truck was a little newer. ;o) Picture and comment courtesy of Charlie Bowyer.